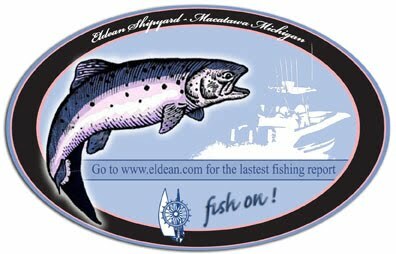 I fished St Joe on 4/12 and Saugatuck on 4/13. In St Joe I found fish in 18-22 fow from the pump station to the wall. The fish are down a little deeper and my best rig was a 2 color core with an orange/gold thinfin. In Saugatuck, I brown fished early in between the bars to the south and went 1/3. I then switch over to coho gear to finish our limit. Found the fish in 25-35 fow from Center St on south. Ended up 16/20ish. Let 2 large lake trout and a few coho go before we called it a day. Best baits were thinfish on 2-3 colors of lead and spoons on riggers down 10-12 feet.